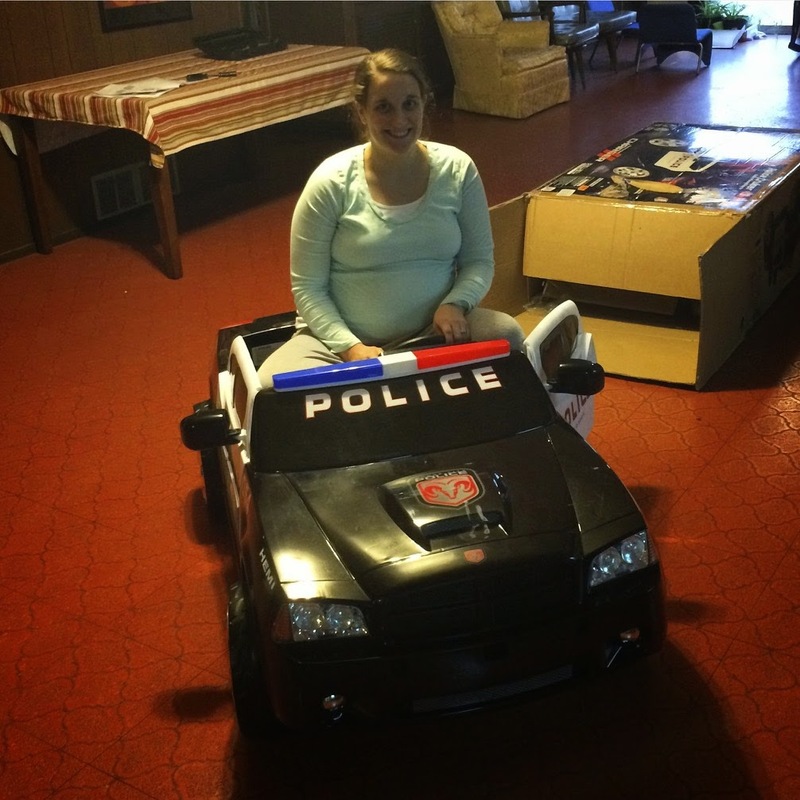 Earlier this week I posted about how we already did the Pepin's Christmas and Patrick scored an ah-mazing police car power wheels from my aunt Kate and my brother Ben and sister-in-law Erin. Well, Mike and I got it all set up the next day, let it charge for a full 24 hours (ohhh, the torture of that! 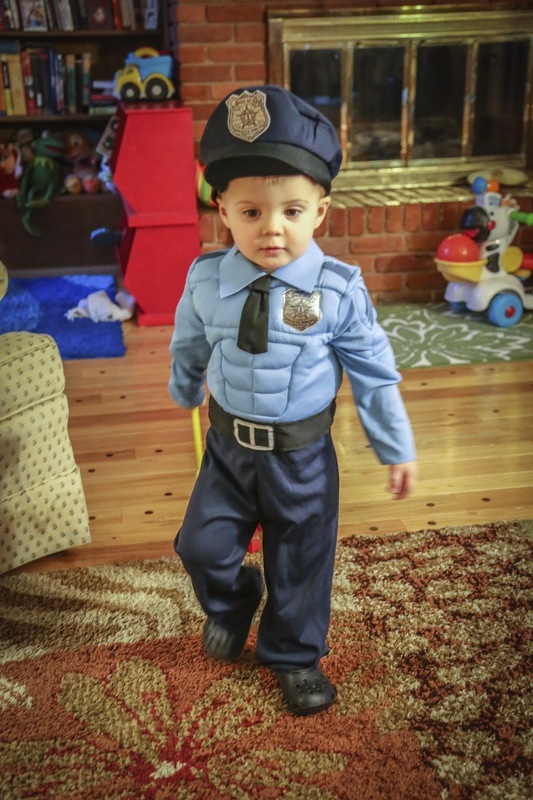 ), and then let Patrick at it--decked out in his police uniform and all. Before we unleashed Patrick in it I tested it out for myself--um, yeah, not for adults. The door wouldn't even close!!!! Ha! 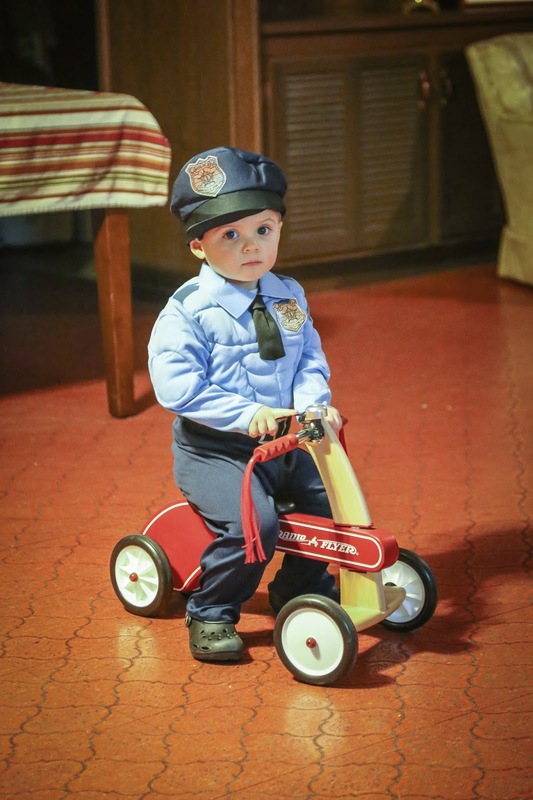 Anyways, as soon as Officer Patrick saw it he LOVED it. 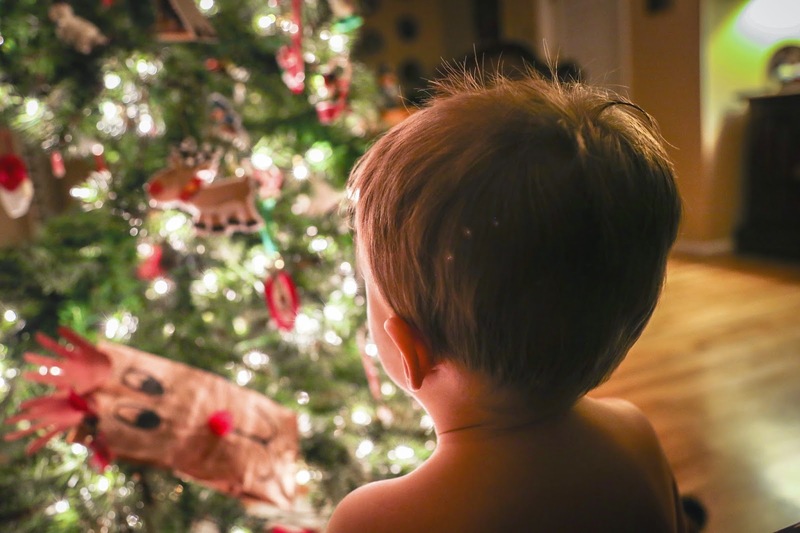 He could not get enough of the sirens and flashing lights, the megaphone, and climbing in and out of the car and closing the doors. 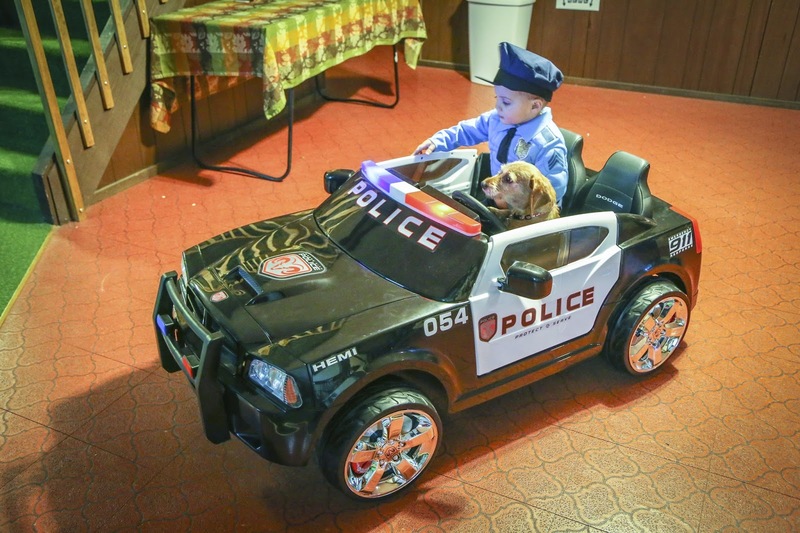 His trusty canine Scoots got in on the action too, and they just looked adorable together in their police car. Here's the catch: Patrick did not quite grasp the gas pedal = go concept (yet). We had to show him how to do it (he's still a wittle bit short to hit it without really stretching his leg) and he loved moving, but didn't quite get that he could hit the button on his own to make it go. 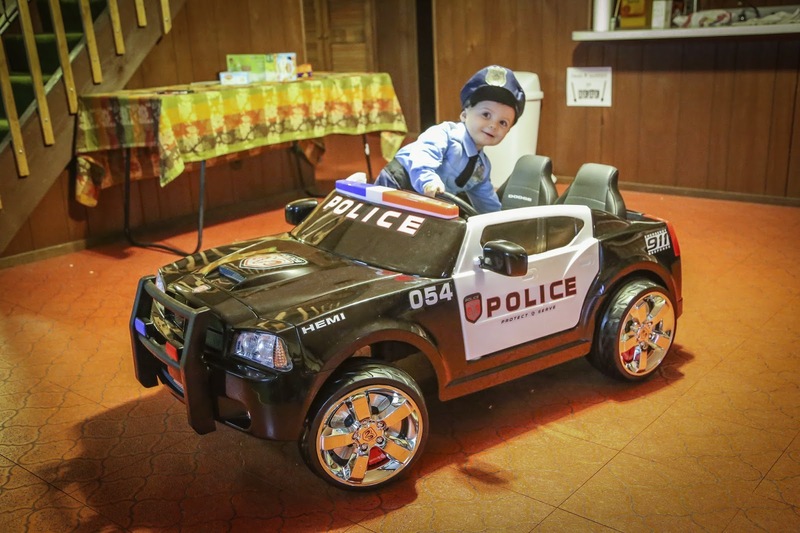 I'm sure that's coming...and I'm sure when it's time to graduate to using his police car outside he'll have mastered the concept. 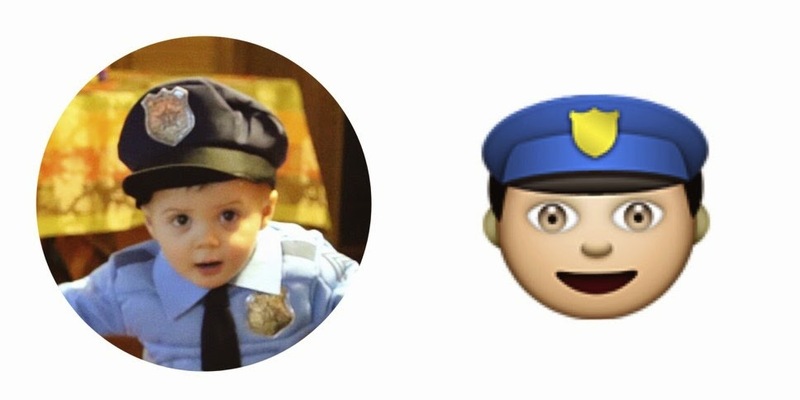 My lovely little brother Charlie pointed out to me last night that Patrick looks just like the policeman emoji on the iPhone...OMG. Yep. He totally does! Haha! 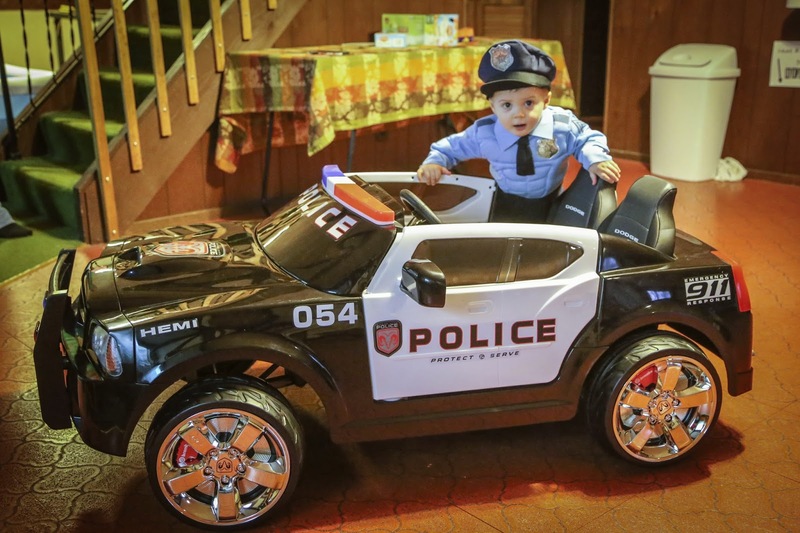 Patrick really LOVES his new police car--and heck, the basement! He's constantly begging us to go down there and play (ballpit, police car, huge open space to run and ride, who wouldn't want to go down there?!!). I'm sure this will be his new hangout spot as he continues to get older--and I'm totally okay with that! That's what basements are for! 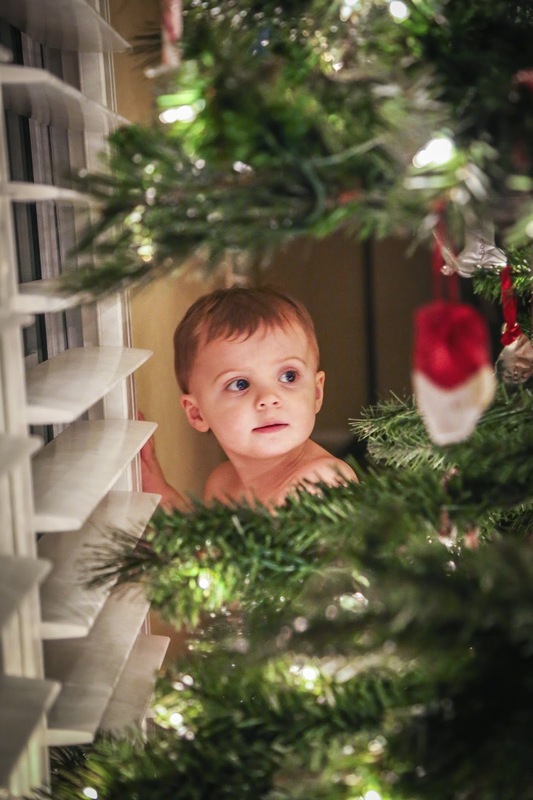 I will leave you with some adorable half-naked pictures of Patrick I snapped of him by our Christmas tree last night...because they're too cute not to share. Enjoy!